In the winter months, many Texas lawns go dormant, and turn that classic shade of golden-brown. This is normal, so don’t panic! There aren’t many things that you need to do to your lawn, but there are a few that can keep your lawn safe until the spring. 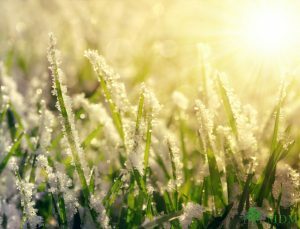 Do You Know How To Care For Your Lawn In Winter? Generally speaking, the Fall time is the best time to prepare your grass for winter. While it might be a bit late in the season, you can always be ready for next season. In the Fall, prepare your grass by cutting it down shorter gradually, so that it will be short and hardy before Winter begins. This will prevent too much of the grass from freezing, and will ensure your lawn doesn’t become an easy place to nest for cold pests! Make sure that you keep your grass as free from pressure as possible. It may be brittle from the cold, and susceptible to breaking or damage. Don’t walk on it unless you need to, and make sure nothing is left on your yard, such as toys, rocks, or vehicles. If you need help with any of your landscaping needs, don’t hesitate to give our team a call at (817) 396-0125 for fast and affordable services! Posted in Uncategorized on January 3, 2018 at 7:32 pm by MDM Landscapes.